Lily bulb better to buy in the fall and plant immediately after purchase. The petals of lilies can be any color except blue. Some types of lilies bloom for only one or two seasons, and the rest longer. Most lilies blossoms in the summer, spreading a pungent odor resistant. The bulbs should be sprouted. Best before planting, keep them in a cool place in damp sawdust, moss or perlite.If you keep the Lily bulbs have quite a long time, should put them in a bag with peat with holes for ventilation. 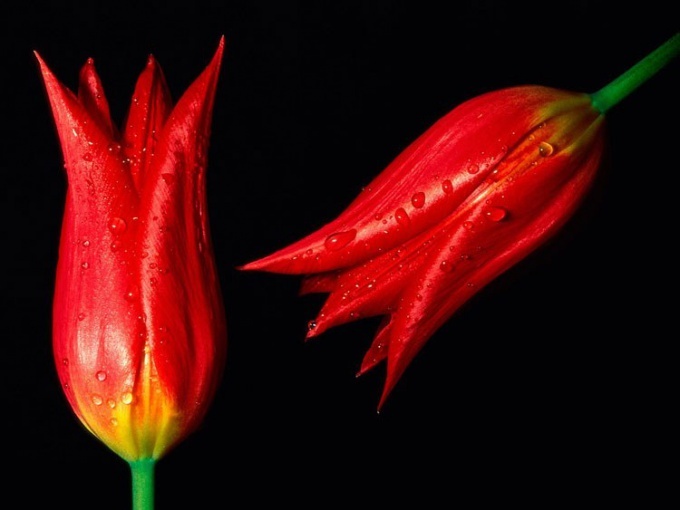 The required temperature is from 0 to 5 degrees of heat at a higher temperature to sprout buds.If the bulbs dry during storage, you should wrap them in a wet cloth or hold it in water for several hours.Before planting bulbs of lilies should be washed to remove the remaining rotten roots and treat with a solution of fundazol (or for half an hour to hold the bulbs in a solution of manganese-sour potassium). After the traditional autumn planting bulbs sprinkled with peat and watered.The best winter protection from frost – deep snow.With the onset of warm days lilies it is recommended to create cool conditions for growth and flowering. However, in the absence of direct sunlight good lighting is important. To water lilies is gradually and gently only at the root. Lilies grow long in one place, "used" with him. 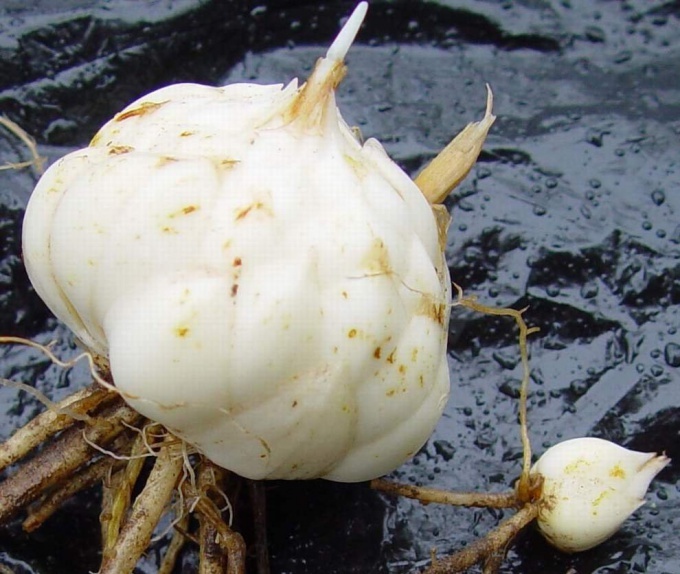 After three - and even five-year flowering without a transplant, most of the Lily forms large "nest" of onions of different age and therefore size. They should divide after cutting stems. For the bulbs of lilies, the threat of excessive humidity. If the leaves a red-brown spots and grey mould, and the flowers are deformed, move the Lily on a dry place and treat with a fungicide. Among the most common disease of lilies - Lily defeated by gurcanli (holes in leaves, buds and petals). The larvae of this insect can be found on the underside of leaves. Adult insects and larvae should be collected manually, then you should treat the plant insecticidal drug. Spring planting bulbs for lilies is also acceptable. In the spring you can dig in the ground already sprouted bulbs. Previously they can be planted in pots, and in the second half of the spring to move to the garden.